As may have become clear by now, I adore animals. Fur, feathers, scales – they are all awesome in their own special ways. Even guinea fowl (noisy, dumb as bricks, but pretty and useful and lovely) and rabbits (destructive, tree-ringbarking wild versions are annoyingly hardy, while the tame meat-breed ones die far too easily) are pretty cool. My problem is deciding which animals to keep. I mean, I obviously can’t have them all. That would take more space than we have, and feeding them and taking care of them would take more time and $$$ than we have available. A pony, for example, is totally right out. They’re far too expensive to keep, and the vet bills are killer. No matter how lovely it would be to have a horse to ride, and love, and brush, and feed apples and carrots to. No matter how much my inner 9-year-old self cries out at the injustice of finally living somewhere that I could plausibly have a horse and not having one. 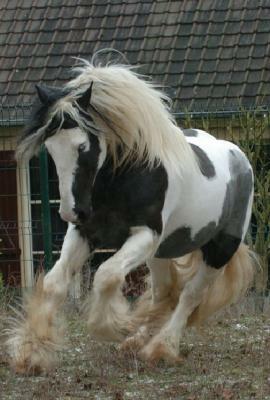 No matter how many wistful sighs I direct at pictures of Gypsy Cobs and Shire Horses. (Yes, my favourite ponies are the gentle giants of the species, with their emo hair and big, brown eyes, and silky smooth gaits). Small ruminants to turn pasture (the pasture seed is starting to sprout! 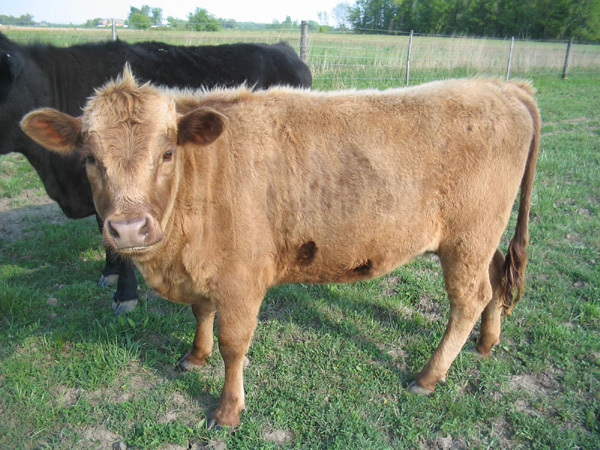 We may in fact have pasture by next winter) into soil-improving manure, milk, and meat for the household are definitely in the plan. I was all set on goats a couple’ve Anglo-Nubian or Nubian / Boer cross goats, but now I’m not so sure. Anglo-Nubians are one of the largest breeds of goat, as well as producing milk with the second-highest butterfat content of any of the dairy goat breeds (the highest butterfat content goes to Nigerian Dwarf goats). A full size goat, not even as large as a big Nubian doe, can reach 3m if she stands on her hind legs and stretches up – and goats eat trees. They will ringbark them if they can, and eat any foliage or branches that are wit hin reach. 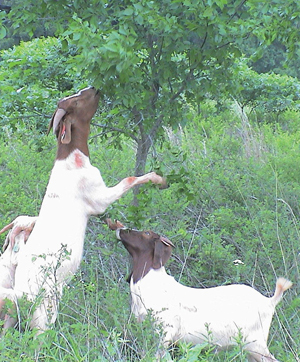 This means that (a) all trees in the pasture area need to have goat-proof (read: expensive, heavy-duty) cages around them up to the maximum reach height of a goat, and (b) I can’t effectively have the trees branch at < 3m, so any fruiting trees in the pastures would be very difficult to harvest. Even Nigerian Dwarf goats (and there are some in Australia now, courtesy of First Fleet goat stud, which imported a number of frozen embryos, and Stoney Creek Miniature Goats which is breeding up to grade using a Nigerian Dwarf stud over Miniature Nubian does) can reach up to 2m by standing up on their hind legs and stretching. Which is a thing goats will happily do for a mouthful of fresh greenery or bark. Plus, because they’re still very rare in Australia, Nigerian Dwarf goats are pretty expensive. And since they’re a rare breed, I’d need to keep my own buck, which I’m not that keen to do. Buck goats pong something awful, and you can’t keep them with the does even if you don’t mind the smell or the continuous breeding cycle, because the buck pheromones taint the milk and make it taste “bucky”. A cow is on the long term plan, but cattle lean on trees and scratch on them, so the baby trees would need to be either a lot bigger or very well protected before that could work. Alpacas are lovely, graceful, and economically not really viable. They produce beautiful wool, but you can’t milk them, and they breed every 2 years instead of every year, producing one baby per pregnancy, so they’re not really a good meat animal (although they are delicious). On the other hand, they don’t destroy trees. I’m kinda wondering about sheep. I actively dislike sheep; I’ve always found wool sheep to smell bad, not just the musky warm-animal smell that all farm animals have, but a sour, sickly, old-urine-in-wool smell which makes me reluctant to go near. They’re the one animal that I have never considered keeping. Until now. Sheep are grazers rather than browsers, so they tend not to damage trees unless they’re very hungry (so a much less significant tree cage would be sufficient for protection) and they don’t stand up on their hind legs to reach for greenery. They’re less fussy than goats about their food, too. And if you go for a hair-type sheep or one which sheds its wool, then you don’t have the hassle of shearing – and hopefully you wouldn’t have that awful smell either. The typical meat-breed sheep in WA is the Dorper, although there are other breeds available (In the Perth area, it’s mostly Dorpers, Damaras, Wiltshire Horn,crosses and Merinos) and . Or there are miniature ‘Harlequin’ meat sheep, bred from small individuals of the Persian sheep breed crossed with a white Dorper ram. They’re a pretty sheep, and apparently easy to manage. Or I could try milk sheep – the Chequers breed is a cross of the Harlequin mini meat sheep and Finn sheep, with (it appears) all the benefits, plus extra fertility and high milk production. Sheep milk is not low in lactose the way goats milk is (it is actually slightly higher in lactose than cows milk according to the FAO, or about the same as goats milk according to Meredith Dairy *), but it is creamy, high in butterfat, and good for making cheese. Manchego, a traditional Spanish sheeps milk cheese, is one of my favourite cheeses, so I trust that sheeps milk cheese is plausibly something I’d like. And with a bit of planning, the same machine (a Dansha battery- or hand-powered vacuum pump) could be used for milking sheep, goats or cows..
Looks like I have some more sheep research to do. I’m currently leaning towards Chequers mini milk sheep as a first choice, Harlequin mini meat sheep as a second choice, and Dorpers or Dorper / WIltshire crosses (mixed flock) as a third choice. We’ll see. * P.S. If you get the opportunity, try the Meredith Dairy marinated goats milk feta cheese. It is absolutely delicious. I wish I knew how they made it so I could duplicate the process.